Looking for ways to make your wedding or party stand out as the event of the year? Tired of the same cookie cutter Long Island wedding style entertainment for your wedding, corporate or family event? Then contact John Arden Music at: (phone number hidden) or email John directly at (email hidden) John is the Winner of the NY Independent Music Festival Competition Best Singer/ Songwriter in the United States Award. With over 15 years of experience in the music industry, our company offers an extensive list of music services such as: Dueling Pianos Shows, Singing piano entertainers, DJs, Complete Wedding Packages- DJ/MC plus live musicians ceremony reception, and cocktail hour. We hired John for our family/friend holiday party. We are definitely a fun group of people so we thought we'd try dueling pianos. What a hit!! Everyone was dancing, singing, totally engaged for the entire evening. It was exactly what we wanted and folks are still talking about it. John was very easy to work with and was exceptionally reasonable in his pricing. He's a very talented musician as is his partner. They are definitely coming back next year. ( I already booked them!) :) Wish I knew about dueling pianos when I got married. Perfect for a wedding! John Arden, along with his percussionist and his guitarist, made what was already an amazing day, that much more special, The music at my son's Bar Mitzvah, which took place @ The Carltun, appealed to both young and old. And for the record, you could never meet a nicer guy. If you are looking for professional musicians with a great sound and no schtick, you are looking for John Arden. John gets a five in my book. He was prompt, professional,and talented. Well worth the money! 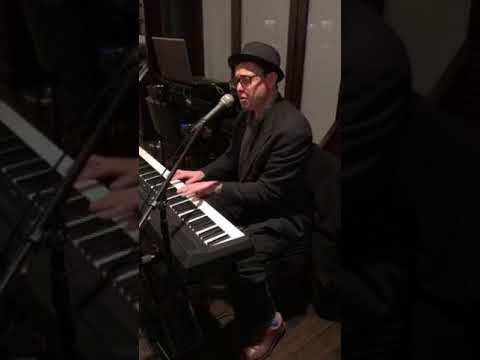 Me and my fiance booked a piano player for our engagement party and we were amazed at how good he was!!! We had Darrin, who did a fantastic job! His piano and vocals skills were excellent and he played a great mix of songs for our crowd. Darrin played on his own and took requests. My family and friends were asking us all night where we had found him because they were so impressed. Even seeing our guests weeks later, they are still commenting how good the entertainment was! Some guests just sat and talked while they enjoyed the music, while others got up and danced, or even sang with him! I would strongly encourage anyone that needs entertainment for their party to consider a singing piano player from John Arden. They did a great job and really made our party memorable for us and our guests!!! John and Darrin were the "Dueling Piano" players at a fundraiser I hosted for my son's baseball team. They were so wonderful and easy to work with. They were extremely talented and professional musicians. My husband and I had such a good time and the the music they played was just our style! I would definately recommend John or use him again myself. Many Treasured Memories Have Been Created With John Arden Music. John Arden Music- The Perfect Choice for the Perfect Occasion! Winner of the NY Independent Music Festival Competition- Best Singer/ Songwriter in the United States Award, (1100 entrants). Expect musician performances far above the average wedding band! Wow Factor! 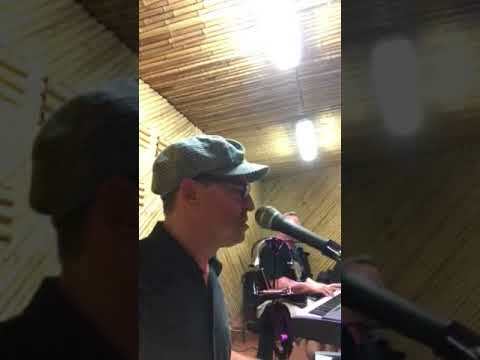 JOHN ARDEN MUSIC FEATURING THE JAM DUELING PIANOS SHOW!!! John Arden is winner of NY Independent Music Festival award for Best Performance in the US Singer/ Songwriter category with over 1100 entrants. At John Arden Music, visit (link hidden), we area full service music company specializing in all types of events. 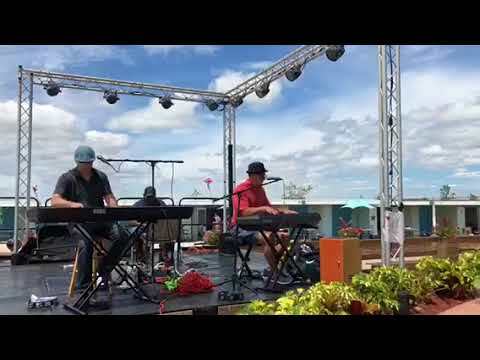 Our specialties include personalized dueling pianos shows, DJ/MC and live music combination packages for weddings, and both family and corporate events. With over 15 years of experience in the music industry, we offer an extensive list of music services. John Arden music uses only the best musicians, the talent level of our artists produce a “Wow!” reaction. Playing extensively in Long Island; NYC; Metro New York, Connecticut; New Jersey; and PA. We do travel throughout the Northeast US as well. BILLY JOEL- PIANO MAN, SCENES FROM AN ITALIAN RESTAUARANT, MOVIN OUT, MY LIFE, CAPTAIN JACK, MIAMI 2017, NY STATE OF MIND, SHE’S GOT A WAY. ELTON JOHN- ROCKET MAN, DON’T LET THE SUN GO DOWN ON ME, EMPTY GARDEN, LEVON, CANDLE IN THE WIND, BENNIE AND THE JETS. 2000 TO NOW POP- CITY LIGHTS MATCHBOX 20, CALLING ALL ANGELS TRAIN, USE SOMEBODY KINGS OF LEON, WHEN I WAS YOUR MAN BRUNO MARS, WHY GEORGIA WHY JOHN MAYER , ALL OF ME JOHN LEGEND, THE WAY SHE LOVES ME TONIC, SNOW PATROL CHASING CARS, I WANT IT THAT WAY BACKSTREET BOYS, SHAKE IT OFF TAYLOR SWIFT, ALL ABOUT THAT BASS MEGHAN TRAINOR, STORY OF MY LIFE ONE DIRECTION . ROLLING STONES- SYMPATHY FOR THE DEVIL, YOU CAN’T ALWAYS GET WHAT YOU WANT. Thanks for reading all the way to the bottom of the page and hope to hear from you soon. Brand new Yamaha Stagespass PA. Complete pro gear including Rolard 700 series digital piano, percussionist available as well with cajon, african drums, acoustic guitar, DJ/MC. Music for all of your event needs. BILLY JOEL- PIANO MAN, SCENES FROM AN ITALIAN RESTAUARANT, MOVIN OUT, MY LIFE, CAPTAIN JACK, MIAMI 2017, NY STATE OF MIND. STYX- COME SAIL AWAY, LADY, BEST OF TIMES, DON’T LET IT END. THE POLICE- MESSAGE IN BOTTLE, EVERY BREATH YOU TAKE, CAN’T STAND LOSING YOU.